Christmas is coming, the goose is getting fat … and we teachers have to pull one more festive activity out of our hat! So here are a few resources which might help make these last few days of term easier. My first offering is a webquest from Macmillan English, designed to explore Christmas traditions around the world. Students are given a worksheet and directed to the website www.santas.net/aroundtheworld.htm, where they can find the answers to the questions. 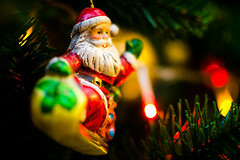 Another webquest, from Luke Vyner on www.onestopenglish.com, delves into the origins of Santa Claus and early Christmas traditions. Students work in pairs to complete the worksheets, answering questions about Pre-Christian mid-winter festivals, the Roman festival of Saturnalia, the outlawing of Christmas under Cromwell and the Puritans, and the story of St. Nicholas. They then work on Christmas around the world. You can find the lesson plan and download the worksheets here. Here is a simple paper craft for Primary students, which gives them a spelling game to play in class. Students are challenged to spell items of Christmas vocabulary and awarded points. And here is a lesson plan from the British Council’s Teaching English website, for 7 to 8 year olds, which includes a craft activity as well as a Christmas song and story. You will need to register on the page to download the material, but registration is free. 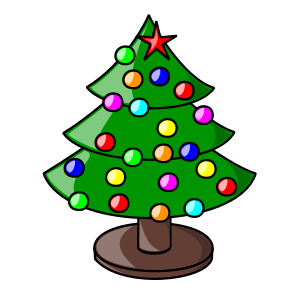 Of course, Christmas wouldn’t be Christmas if we didn’t make a Christmas card, so here’s another lesson plan from Teaching English for 3 to 6 year olds which has flashcards for learning Christmas vocabulary and includes making a Christmas card. Again, you need to be registered to access the flashcards, but it is well worth registering for this site. I hope you find these activities useful. I will be trying out the webquests next week in Secondary. Merry Christmas! This entry was posted in CLIL, Combined skills. Bookmark the permalink. I’ve just tried out the Christmas webquest with my B2 teenage groups and they have loved it!